The Regional and All Ireland Winners of the Irish Restaurant Awards were announced at a ceremony which was held in the Burlington Hotel Dublin on Monday 10th June 2013. I was invited up by Adrian Cummins, CEO of the Restaurants Association of Ireland, to do a spot of guest Tweeting for the night and you can check all the Tweets from the night here on the #FoodOscars hashtag. These annual Restaurant Association of Ireland (RAI) Awards celebrate all aspects of the Industry from Chefs and Restaurants to Food Producers, Local Food Heroes and Cookery Schools. Nominations for the awards are made by readers of the Sunday Independent LIFE Magazine and by members of the Restaurants Association of Ireland. The Irish Restaurant Awards recognizes achievement and excellence in the Restaurant and Hospitality Industry throughout the Island of Ireland. The event is organised by The Restaurants Association of Ireland and are sponsored by Santa Rita/Sunday Independent LIFE Magazine & others. 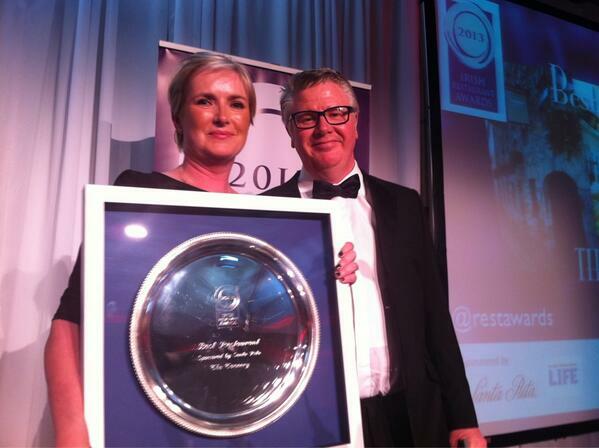 The awards are the most prestigious and most coveted awards in the Irish Restaurant Industry's calendar. County winners were announced at a number of Regional Events in the run up to this main event. 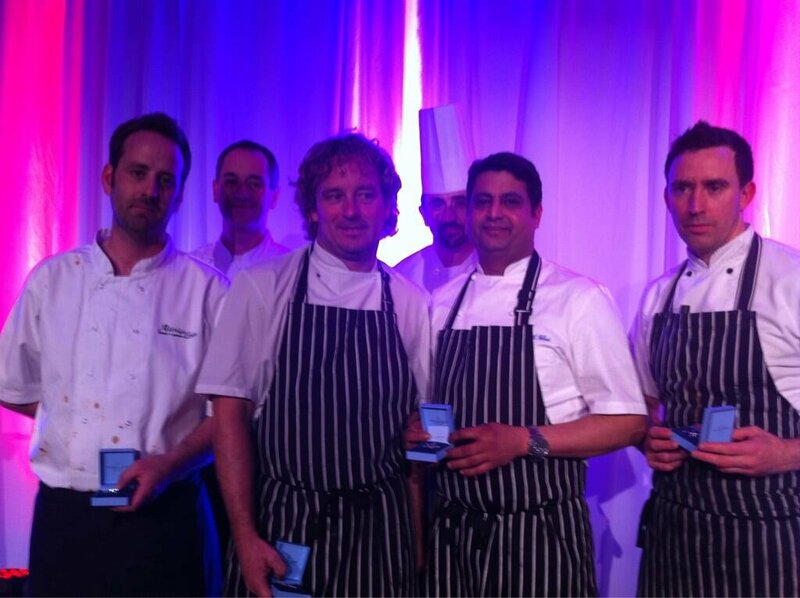 by the winning Chefs in each of the five regions from last year. There are 3 components to the final phase of the judging process to determine the Winners. 1. Mystery Guest Visit (35%) - This component of the awards was conducted by Prism Consulting headed by Hugo Arnold, independent food writer and consultant (http://www.hugoarnold.com). All County Winners received a mystery guest visit throughout the month of April. 2. National Awards Academy (55%) -The National Awards Academy were made up by representatives from each of the regional judging panels and they met during May to Judge the County Winners. 3. Menu Judging (10%) -All County winners and the Dublin Shortlist in each category were asked to submit a copy of their food menu and wine list for judging. 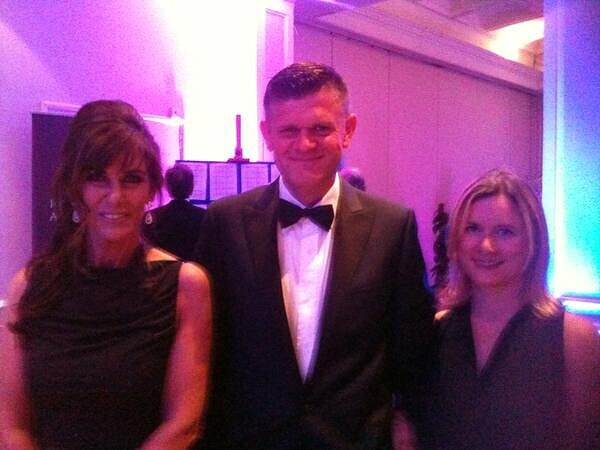 Our host for the evening was Brendan O'Connor, TV Presenter of The Saturday Night Show on RTÉ1. Brendan is also the editor of the Sunday Independent newspaper's LIFE Magazine. This category recognises the dining experience which best offers outstanding value, excellent food, appropriate service, genuine hospitality and an appropriate overall dining experience. This category will recognise a hotel restaurant that demonstrates the very best in a dining experience as evidenced by attention to detail, a well-structured, balanced and appropriate menu, exemplary customer service and enjoyable and suitable atmosphere. Goes to the gastro pub with an impressive food aspect, genuine and demonstrable hospitality and an outstanding, relevant and complementary drinks offering. The Chef who most impresses in their approach, design and execution of dishes and who is clearly pushing at culinary boundaries in Ireland. This goes to the restaurant offering a balanced and appropriate wine list, an interesting range of producers and which strives for excellence in the service of wine. 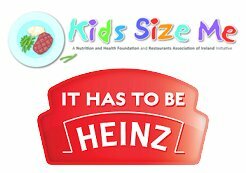 This award goes to the restaurant who aims to ensure children have access to healthier food options when dining out by making child size portions of appropriate adult meals available as an alternative to ordering from the standard children's menu. This award recognises the establishment that demonstrably goes above and beyond a normal level of service and does it consistently and in an appropriate manner. Congrats to everyone that got through to the National Finals, thanks to Adrian Cummins and all at the Restaurants Association of Ireland for inviting me to be a Guest Tweeter for the Night. 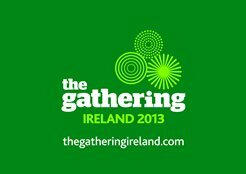 Well done & more success to all our Irish Restaurants for the coming year! And The Real Winner is..... Irish Food!